Tech gifts will dominate the Christmas period this year. Best get your Wii order in now! Tech gifts such as the iPod, Xbox 360, PlayStation 3 and Wii will dominate Christmas buying, according to new analyst info on The Retail Bulletin. 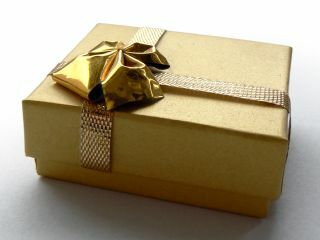 "Video games consoles such as Wii and iPods are leaping up the gift lists," says Tarlok Teji, head of retail at Deloitte. "Forty-four per cent of consumers will buy a computer game for friends or family up from 38 per cent in 2006, and 26 per cent expect to purchase an MP3 player this year up from 20 per cent in 2006." It's easy to imagine what the hot tech gifts for Christmas might be. The list starts to writes itself: iPhone, iPod touch (or fat iPod nano), PlayStation 3, Xbox 360, Nintendo Wii, Nintendo DS, PSP. After these Christmas no-brainers, you're looking at digital photo frames (bizarrely popular), TomTom satnavs and Freeview boxes (in anticipation of the digital switchover). Then there's the possibility of cheap laptops from PC World and, for the boys at least, some sort of remote controlled indoor aircraft. This year it will also be easier to shop than ever before. Not only will more people do their Christmas shopping online, but more stores than ever before will have an online shopping service. The same research suggests that there's a "a huge growth in the number of retailers providing online stores this year compared to previous years (51 per cent in 2006, versus 72 per cent in 2007)."